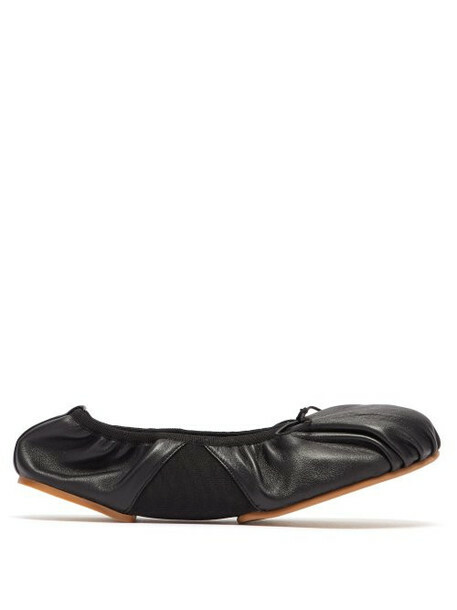 Acne Studios - Acne Studios' black Betty ballet flats are crafted with elasticated inserts so you can fold them into your weekend bag with ease. They're made in Italy from supple leather with gathers are the round toe and elasticated heel panel, and sit on a brown leather sole that's split in two for added flexibility. Slip them on with a printed smock dress as an alternative to heels for a lawn-based garden party.